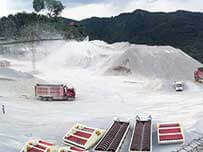 1.mining, aggregate processing, piling mud, river dredging, city construction waste incineration, ceramic raw material, silica sand production and various kinds of metal ores, tailings disposal and other industries. *Screening: The Trommel Screen is also called rotary screen or drum screen, which screening the material into different size. 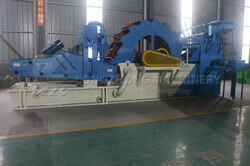 *Washing: The bucket is driven by the motor through the reducer and rotates in circle. 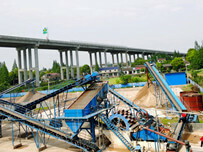 There are many sand storage web grooves and bucket screen for sand storage and primary dewatering. 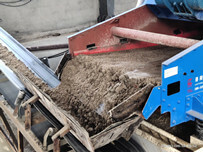 When the bucket moves, sand can be put out by sand storage web groove after being cleaned in the cleaning tank and primary dewatered on the bucket screen. 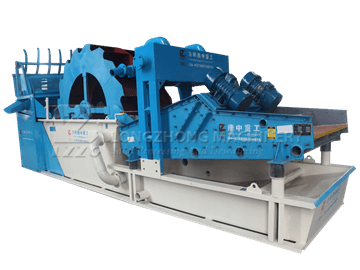 *Recycling: Flowing slurry water is extracted by slurry pump, fine sand is collected by the centrifugal force of the cyclone, then fed to the polyurathane screen from the apex spray. 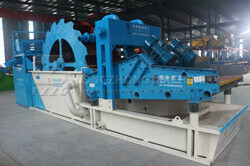 The 0.16-3mm fine sand and water are efficiently separated through the vibration screen. 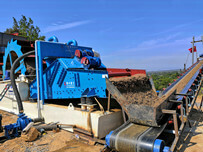 *Dewatering: coarse sand (3-10mm) and fine sand (0.16-3mm) are fed onto polyurathane vibrating screen for dewatering. 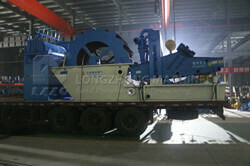 1.Flexibility, high production rates, serviceability and low maintenance. 2.Compact structure, saving land area. 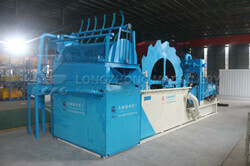 3.High efficiency and cost saving.